Are there passages I have marked, underlined, annotated, or starred in Memoir and Essay to return to, to quote, to point out to others? Insofar as the narrative evidences personal knowledge and judgment regarding others whom I have known and cared about, I want to hold it and let go of it at the same time, I want to know and to forget. Insofar as the narrative lets me know about the life, career, thoughts, and feelings of Michael Gottlieb, whom I have known for over 30 years but never as well as I’d have liked to, I want to retain everything. Author Michael Gottlieb (left) and reviewer Steve Benson. Memoir and Essay breaks into two pieces, one of which is incontestable — “The Empire City” is a narrative of his life in New York over many years, a life with which I was only occasionally and marginally acquainted — and another that provokes argument at will — “Jobs of the Poets” is a philosophical and social inquiry regarding matters pertinent to any writers who might choose to remain economically viable as persons in American culture while continuing to write and seek readers, especially if their work is not intended for mainstream marketing. Having written that, I then did begin to write in the margins and underline and draw arrows in the text of the remaining fifteen pages I hadn’t yet read. Most of the book I’ve read last thing at night in bed, close to sleep, but the last part I read in early afternoon in the shade of a huge maple, my son’s terrier leashed to one leg of my wooden chair, with the pencil. The book works either way. It’s a “must-read.” You don’t have to read it, but I was glad I had put everything else aside to read it first. 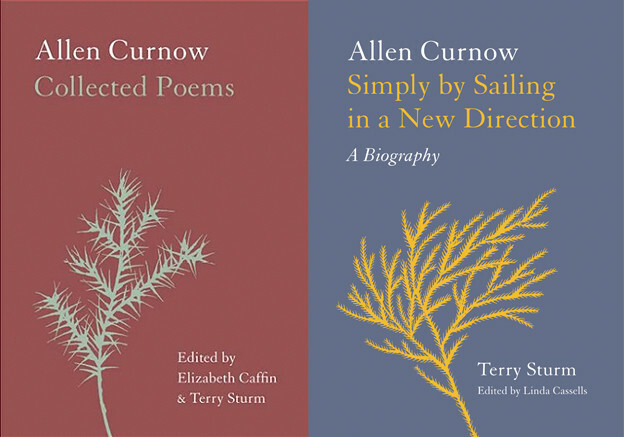 The “essay” comes second, after the “memoir,” and bears no ostensible relation to it, although they share concerns with the interface of the problem of a remunerative career and the development and sustaining of a poet’s life and practice. The “essay” is written in numbered sections. Each section, about one page long, begins with a question or set of questions in italics, and then these are responded to by discussion that typically launches other, related questions. Like the “memoir,” the “essay” is what it says it is; the memoir is obviously a memoir, and the essay is, exactly, an essaie — a trial of various concerns and ideas, elaborated and interrogated and brought to judgment, although for the most part the matters are not ultimately decided. 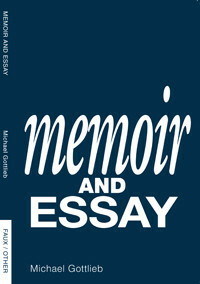 The “memoir” and the “essay” are both written in pieces that could have found a different sequence but this sequence works well, and both are written in a style that, to my mind, suggests that the writer is not looking back but focusing on what he is trying to say, so that the writing seems to me unstudied and spontaneous, at times garrulous or inexact or roundabout but authentically presentational and aiming toward candor and justice. Notes at the end of each of these two parts indicate who read and commented on the manuscript prior to final edits, and nevertheless the writing is marked by occasional errors in idiom or punctuation that can startle a former proofreader like me but that also mark the text with the materiality of an event in one life, putting something down on paper, however mediated by technology and the counsel of friends. During the year that feels like ten years, or the ten years that feel like one, that have just passed, I’ve written and published a book made mostly of works entirely in the interrogative, as is much of “essay,” and I’ve written and published dozens of pages of memoirs relating to my formative years as a Language poet in an urban culture shared with other Language poets, so I am interested in what Michael has attempted and what he has come up with in this work at hand. I also prepared and presented a lengthy public talk about careers in the arts back in 1978, in the city I lived in with the other Language poets, which a few years ago I presented online in audio with transcript, notes, and a handful of the completed questionnaires that I circulated as research at the time. So Michael’s way of working and his concerns here have been on my mind, though I had not read any of this work before its publication. Although this is an engaging and intriguing narrative to read for tactfully lancing vignettes about prominent figures in that group of writers, it is not primarily about them but about choices made, fallen into, and discovered by a young man no longer a boy and becoming a writer. Its emphasis is on how an unanticipated set of possibilities discovered in some printed matter and the persons coordinating it provoked a re-set of life priorities, and the enthusiastic, diffident, capricious, and insidious ways that initiation played out in this person’s career as a resident of particular homes and neighborhoods, as a writer, as a lover of other persons, and as a participant in the life that art takes on in New York City. Balzac’s Lost Illusions and Flaubert’s Sentimental Education are forebears Michael doesn’t try to emulate but must have learned from. His approach is contemporary, casting off each literary posture when it does not eschew them altogether. His “memoir” is not set in the twenty-first century but makes a palpable effort to address its reader within these times, while conscious of their difference from the 1970s, in which most of the action takes place. It will interest all those who want to think about how these things work and don’t, and how their functions and dysfunctions may change over time. The reader will likely think about many things that are not on the page, including concerns of impoverished and unemployed people, people of other countries and social ecologies, women and minorities, who are largely absent from these pages. The reader will also ricochet from the page toward reflections on her or his own experience, his or her ways of handling ethical problems, her or his rationalizations and doubts and reconciliations with the choices he or she has made. The text as presented is in no way authoritative, except in that only Michael could have written it; the reader will find much to complain of, to second-guess, to object to, and to regret. I enjoyed the qualities of the writing even while I edited them and adjusted them in my mind, and I felt warmly engaged and compelled and at times thrilled by the narrative, in my identifications and differentiations from the speaking mind and the life detailed. 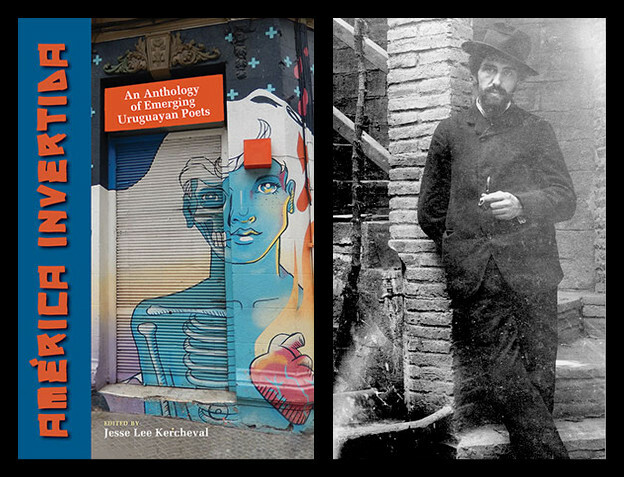 The book appears written from the vantage point of appreciation of the possibilities of such a participatory reading, and to invite analogous revelations from others of their experiences of discovering, exploring and surviving alternative poetry scenes. The value of its publication lies in its potential to enter into and encourage a discussion, the collective debate and interrogation that is more than ever underway within the larger-than-Language contemporary poetry community, concerning the social praxis around poetry and the implications of socially constructed ideas of community, systems of behavior, organizations of labor, analyses of linkage, options within interdependence, and evaluations of responsibility. These concerns are argued here in the representation of an individual life replete with wishful hopes and nagging misgivings that confront one another unforgivingly to generate more than the sum of their parts.